In a recent comment I had a request asking me to show you what I eat on the days when I have double-header soccer games. I thought it would make a great post! 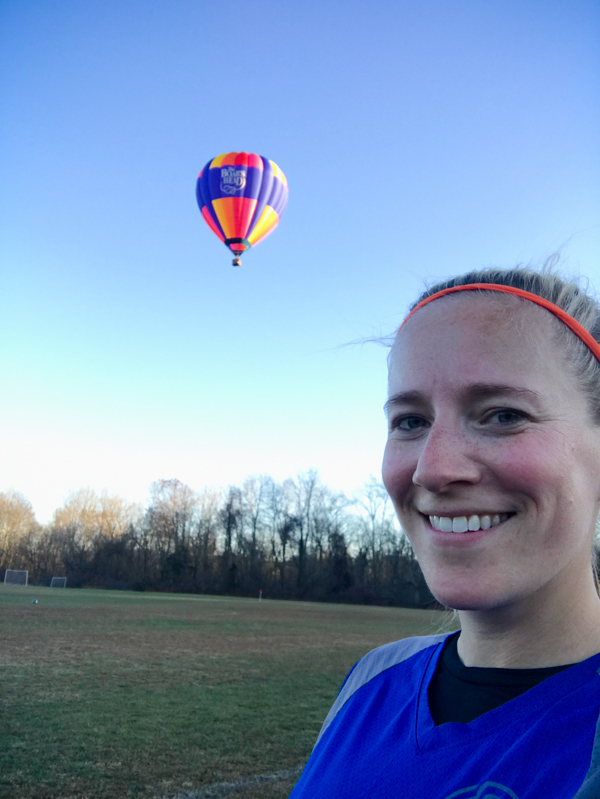 I’ve had two games almost every Sunday this fall, and often they are back-to-back with little time for me to do much more than drive from one field to the other. Here’s a typical day of fuel. 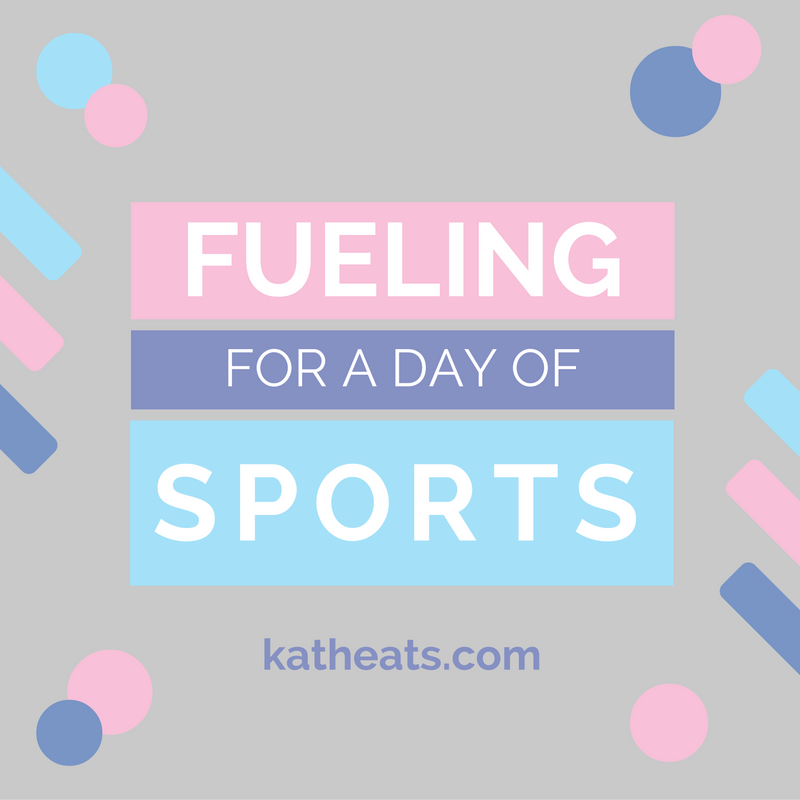 I admit I am sure I could be doing some things better from a sports nutrition standpoint, but my main goal is just to eat enough that I don’t get hungry and so that I feel energized throughout both games. And of course, to focus on eating healthy food. A lot of my co-ed games have started at 11.00 a.m. or 1.00 p.m. and my women’s games are either at 2:00 p.m. or 3:30 p.m. On this day I was due at the field at 12:30 p.m. 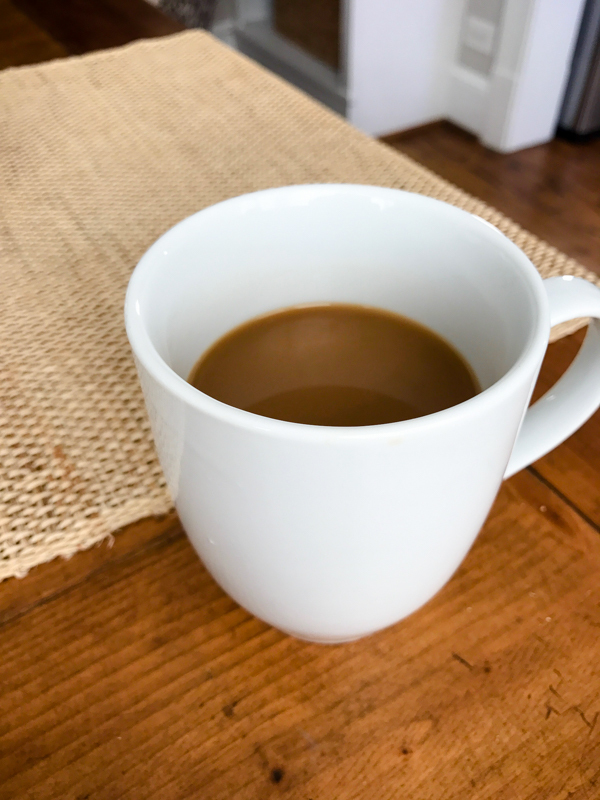 I started the day with coffee, as per usual, and had a mug at around 7:30 a.m. after getting up and dressed with Mazen. Next came breakfast (or actually, brunch). My goal here is to eat a huge breakfast on the later side so it fills me up. Also, to have an emphasis on the carbs to fill up those energy stores. 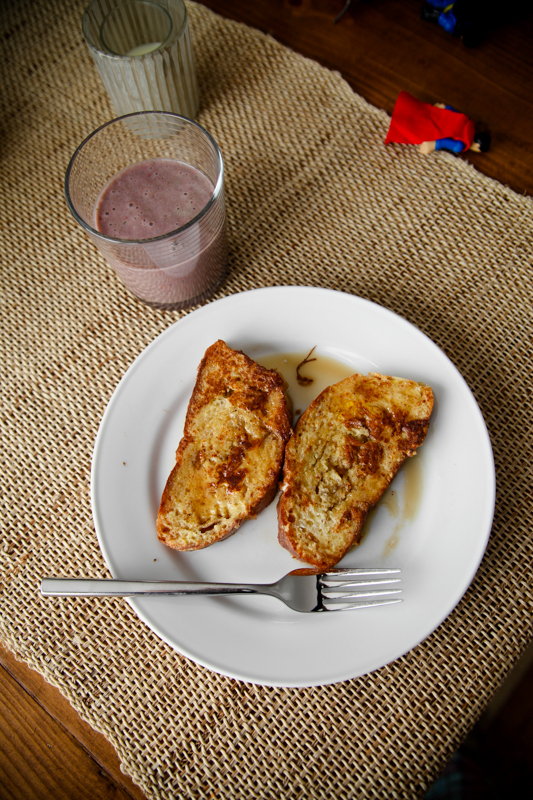 I had two slices of sourdough French toast with some maple syrup, plus a small raspberry smoothie made with yogurt, milk, raspberries, and a few spinach leaves. I packed up snacks to eat between games. 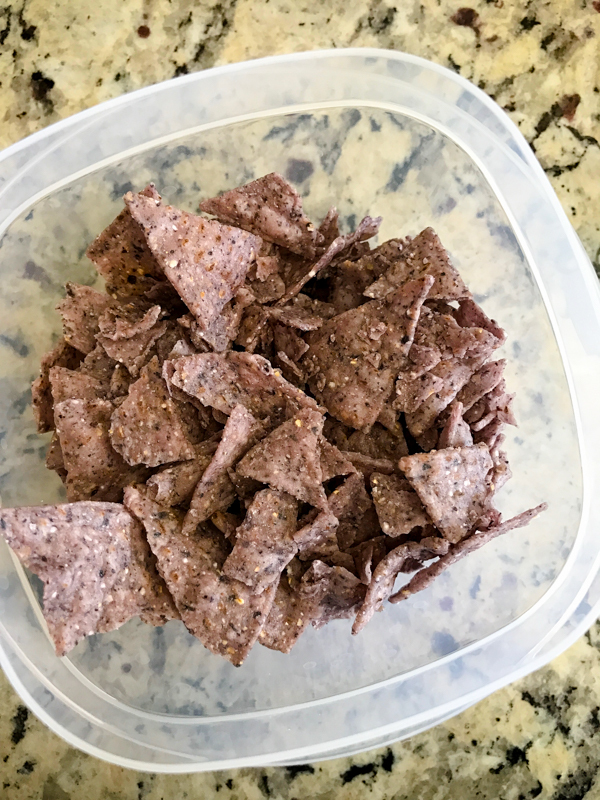 I most often crave salty foods, so I filled a tupperware with salted blue corn chips. Chips are a great snack between games because they are light enough that I can start running right away, and the salt totally hits the spot. I also packed a few dates to have at halftime of each game. And of course, plenty of water. 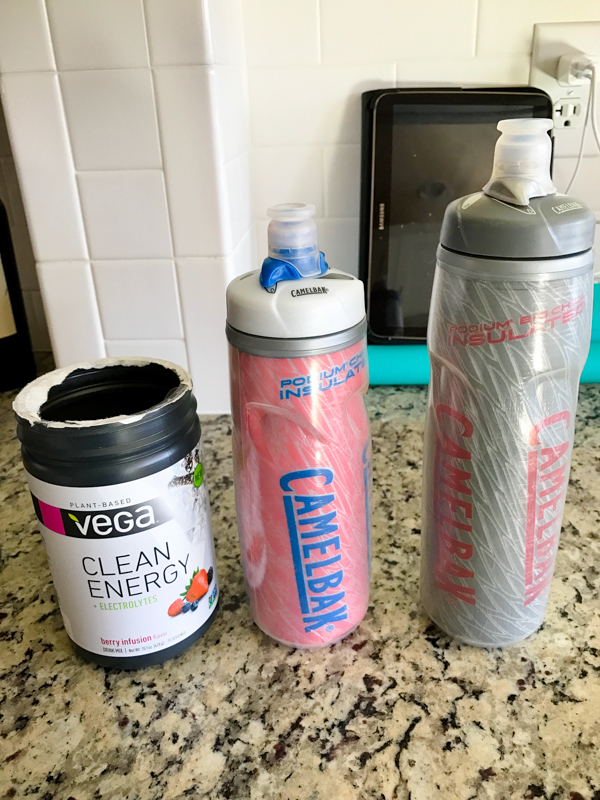 I filled both of my bottles up and added some Vega Clean Energy to the bigger one. I like this Vega product because it has some caffeine plus simple carbohydrates and a great taste. (For disclosure, they sent me this tub to try, but I will be buying it again when I run out.) I consumed the Vega bottle at game #1 and then just water at game #2. I had an extra bottle of water if needed. In the warmer months I usually drink all three! I try to drink a whole bottle of water about 2 hours before I leave the house too (much closer and I’ll just have to use the bathroom the whole game and some of our fields don’t have them!). 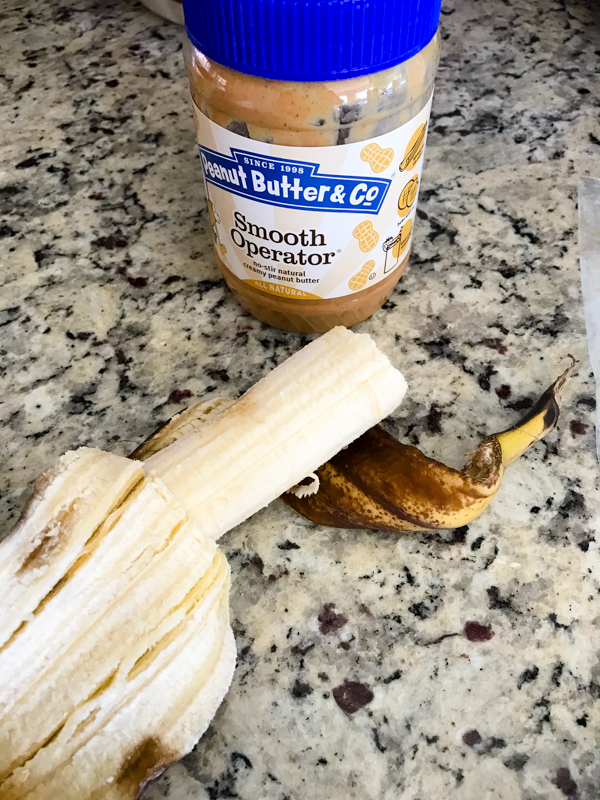 I had breakfast around 9, so at noon before leaving my house I had a banana and some peanut butter to top me off. Go time!! Division 4 Co-Rec Semi-Finals! We won!! I played all but 10 minutes, or about 80 minutes of game time. We had lots of stop-and-go intervals of walking and sprinting. I forgot to eat my dates at halftime, so I had them along with the chips on the way to my second game. Hard workouts take away my appetite though, so I wasn’t all that hungry during my break. I had an extra Larabar with me just in case. I arrived at the field and drank some more water before we started to play. 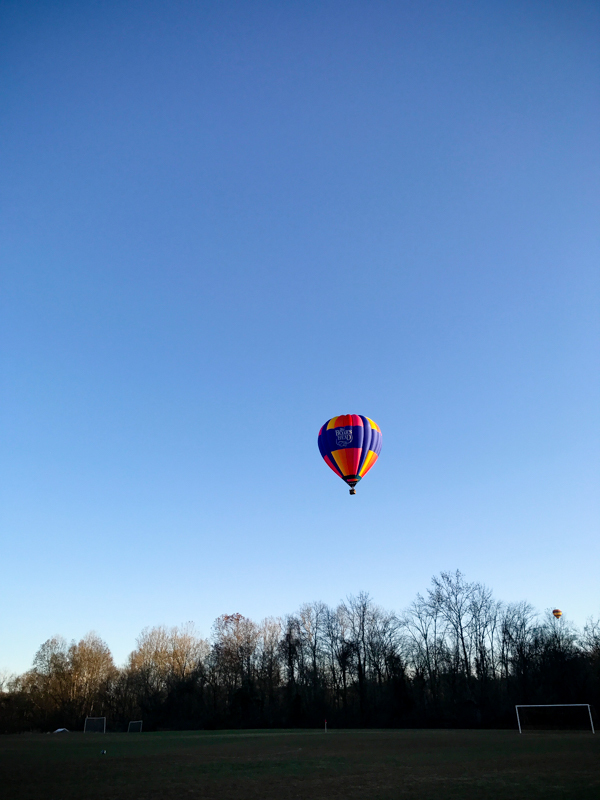 It was such a fun surprise to see these two balloons fly over! I played about an hour of that game. My pace definitely slowed as I started to get tired. I went to pick up Mazen and then headed back home. 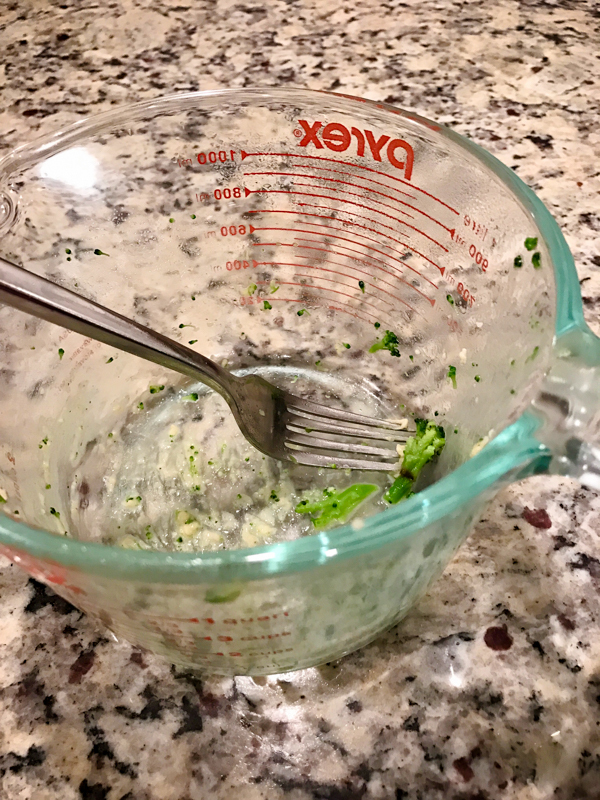 I made him dinner – a spinach + manchego grilled cheese and parmesan broccoli – and had a half cup of broccoli before hitting the shower. I was really starting to get hungry and was craving those veggies! 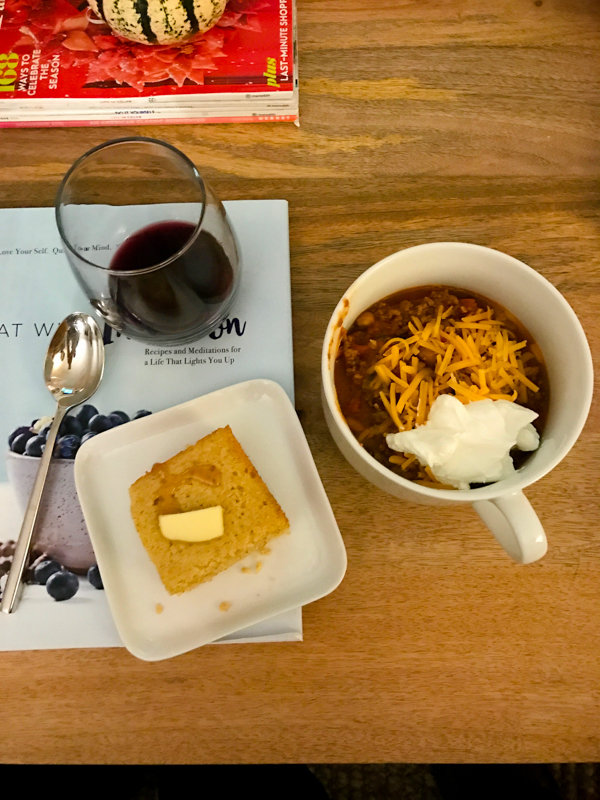 I heated up leftover chili with cheese and sour cream on top and had a side of cornbread for dinner. I know alcohol isn’t the best for recovery, but I had an open bottle of wine I didn’t want to waste! 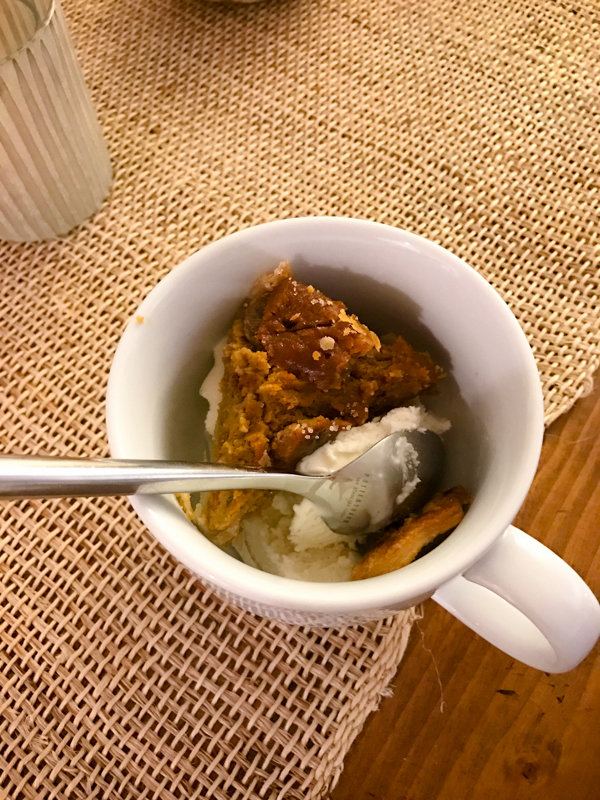 And to finish off the day, a little pumpkin pie with vanilla ice cream. Soccer days are always lower in vegetables because I essentially skip lunch and miss out on a salad or side of them. This dinner wasn’t especially green (although my chili had peppers and beans inside) but I do try to make a point to get plenty of vegetables into dinner. The broccoli appetizer helped! Soccer is my favorite form of working out these days, and I feel very lucky to have found the two leagues I play on. I hope I can continue to play for years to come! 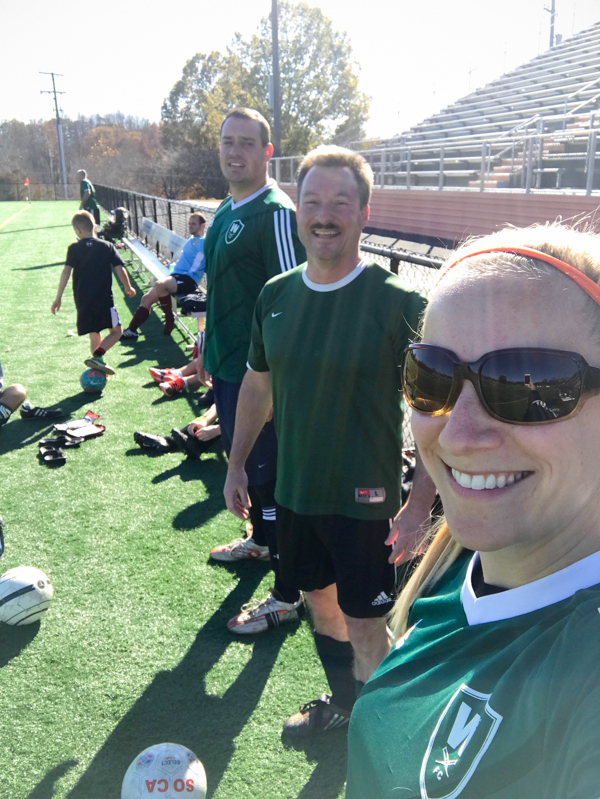 We have one woman who is nearing 70-years-old on my women’s team, and she is my soccer idol! Great post. It reminded me that I need to start carrying snacks again! My day gets sooo busy so, lately, when it’s time to eat I’m starving and not making the best decisions.. I shall return to carrying snacks in my purse. Awesome post! I know you appreciate blog feedback, -! 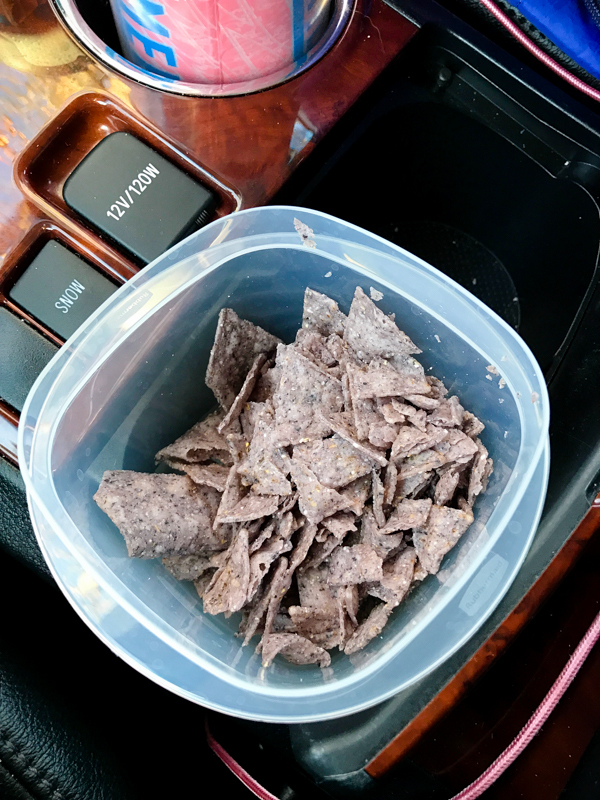 : I like this post because it’s a detailed account of a full day’s eats, and total honesty (love the chips as a choice for fuel in a healthy portion and the treat of wine at the dinner haha). Posts like this give me inspiration and remind me it’s ok to eat what you like, in moderation- nothing off limits, especially on very active days. I enjoyed this post much more than your “lately” ones. I like seeing the rationale for eating what you do. Completely agree! Seeing WHY you eat the foods is so much more helpful than just pictures of what you ate. I never thought of chips as a soccer snack how clever! Like my running days ha ha I wish I could play soccer but I am just not coordinated enough! I like this post too!I have been doing triathlon for a few years(after a long stint of running only) so I have lots of two-a-day workouts and it’s always good to see what other athletes are eating.Looks great!I love Vega as well,and I do lots of PB bananas…although guilty pleasure at the end of a long ride are Pringles-those blue corn chips look yummy. 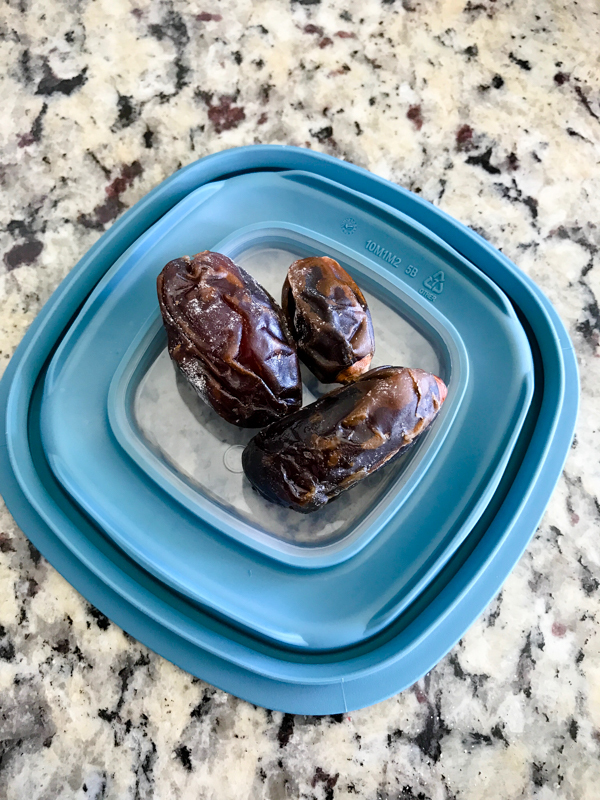 I always try to pack snacks on our busy active days – love the dates idea, my kids need energy before their soccer games that isn’t in the form of a Snickers bar, haha!